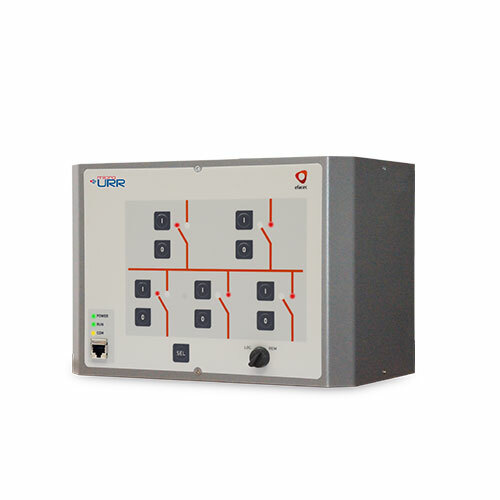 The micro URR is a compact and cost-effective small RTU solution that is both flexible and integration friendly, featuring integrated PLC logic engine and sub-RTU aggregation together with I/O and remote communications. Unlike other RTU solutions, micro URR includes open IEC 61131-3 programming and IEC 61850 communications. This not only enables smart remote control but also advanced applications such as distributed automation in wide-area systems. Local data recording, flexible communications and user programming also allow the user to integrate smart automation with other value-added applications such as condition monitoring or smart alarm systems. The micro URR is Automation Studio compatible, hence offering intuitive engineering with either plug-and-play for straightforward setups or template-based approaches for large deployment scenarios. Copyright 2019 Efacec | All rights reserved.